This is what Sebastian told me in order to mollify any further fretting on my part over leaving our camera in the trunk of the car as we waded our way through 8 foot tall rustling tall grass prairie in Northern Oklahoma. The wind was working the whole hillside into a frenzy— a riot of autumn-cured grasses swooshed this way and that. 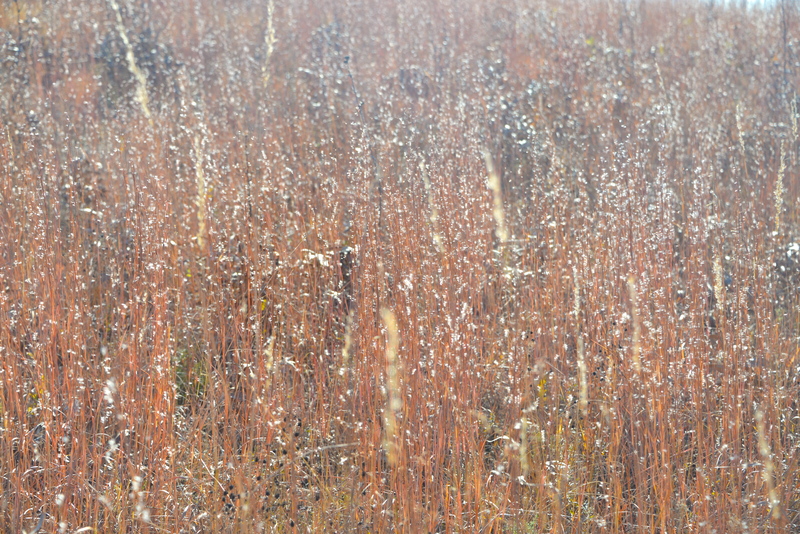 The light caught the Little Bluestem just so, highlighting each individual blonde floret against an undulating backdrop of red all mixed up in ochre and maroon—the stalks of the taller big bluestem. 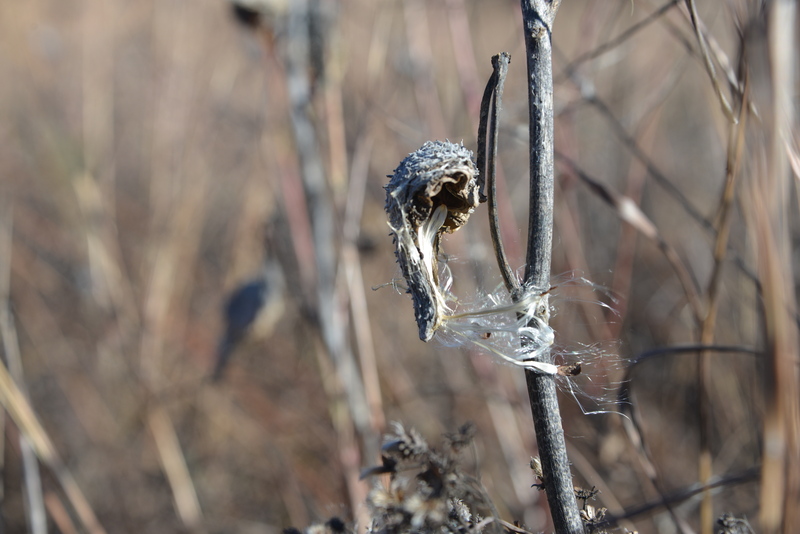 Big surges of wind lifted up milkweed seeds as they were released from their shell-like pods. Gossamer strands of spider web whipped around in the wind with all the rest of it. That phrase, “there will be more grass, wind, and light,” was stuck in my head for the remainder of our trip as we zigzagged our way across the Great Plains. We were ground checking the route we plan to traverse on horseback this summer. The success of our upcoming trip, which aims to increase public awareness of our critically threatened grasslands, relies upon the assumption that there will, indeed, be more grass, wind, and, light. Well, wind and light, yes, I imagine there will be endless amounts of wind and light to come. Although, just 80 or so years back, during the height of the dust bowl, the sun was reported to have been blotted out by soil swept up from fields that, plowed and exposed, were left for the sweeping. One of the main catalysts for these gargantuan dust storms, coupled with drought, was the European-style farming techniques employed by pioneers that came to settle “the last great west.” Aided by legislation designed to promote western settlement and encouraged by the prospect of dirt-cheap land, settlers came to the Great Plains to capitalize on the opportunities presented by this vast frontier. The arrival of European-American settlers inaugurated a massive transformation of the Great Plains landscape. 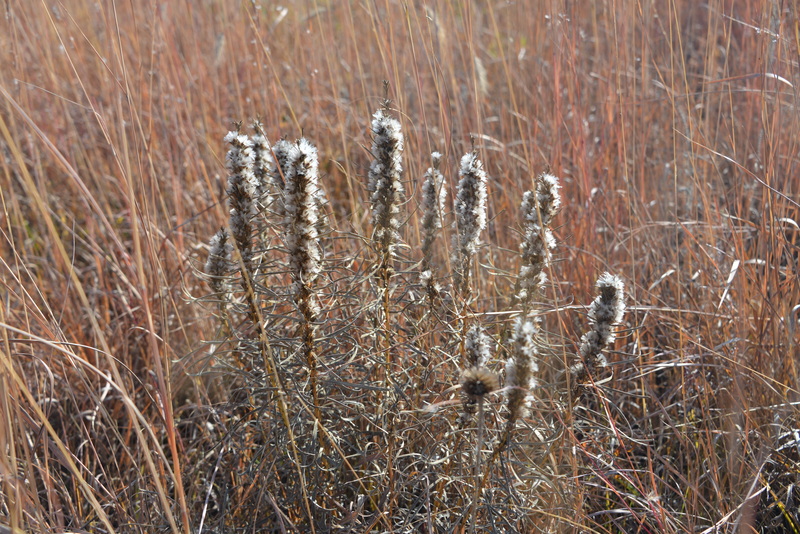 As settlers pushed west, the native prairie was plowed and broken, initiating a process that would later lead to the near elimination of North American grasslands. Deep plowing of virgin topsoil displaced native prairie grasses that traditionally trap soil and moisture in their deep root systems. The soil, thus unanchored, was swept up in clouds that literally blackened the skies. Loss of topsoil paved the way for the ecological and economic disaster of the dust bowl. Despite widespread adoption of soil conservation practices following the “dirty thirties,” the problem of soil loss has only increased since then. Some practices such as contour plantings, strip cropping, and, recently, no-till agriculture, reduce erosion on a per acre basis, but none completely stop or reverse the loss of soil. The total amount of soil lost per year in the United States has likely increased since the ‘30’s. In his New Roots for Agriculture, Wes Jackson points out that studies indicate our annual soil loss is greater now by at least 25% than in the Dust Bowl years. Under natural conditions it’s estimated to take between 300-1,000 years to build one inch of topsoil. The majority of the cropland in the U.S. isn’t building soil, but losing it. An Iowa State University report published in 1972 study tells us that we lose over 4 billion tons of topsoil each year, or the equivalent to enough soil to load a train 633,000 miles long. That’s long enough to stretch to the moon and back and towards the moon again, or, if you prefer, to wrap around the planet 24 times. That is topsoil lost in the U.S. alone. With the advent of synthetic fertilizers and the large-scale mechanization of farming, more land than ever before is in crop, the majority of which is planted in annual monocultures that replace the complex prairie ecosystem. As smaller fields are consolidated into larger ones the prairie remnants once protected by fence lines, right of ways, ditches, and hedgerows are plowed under. It’s easy to intimate that, on the large-scale, we haven’t exactly improved our situation since the ‘30’s; indeed, we’ve taken a turn for the worse. Last month Southeastern Colorado and the panhandle of Oklahoma saw dust storms on par with those that ravaged the country 80 years ago. It’s conceivable, if not probable, that we could go through the paces of a second dust bowl in the years to come, which would blot out the light that Sebastian was so insistent we’d see more of. But shorthand, yes, there will be more light; I’ll grant him that. And wind. We need not look beyond the recent 22-fold increase in the U.S.’s installed wind-energy capacity since 2000 to confirm that there will be more wind. Ten of the top twelve states in wind development potential are located within the Great Plains alone. Hundreds of thousands of acres of land are being scouted, leased, and bought by wind-energy developers. These numbers will only increase as we continue to develop and expand alternatives to non-renewable energy. But grass! Whether or not there will be more of that is a far more interesting question, the answer to which is less certain, less of a given. Once you start digging into that question and into the landscape that teeters on the edge of its answer, you begin to walk the fine line that exists between hard facts and hope. What I mean is, you are confronted with the statistics surrounding the decimation of the prairie and the species that were once abundant in it; on the other side of the spectrum you see its determined resilience and take heart in the teeming life it supports – its insistence upon survival despite all of the odds piled against it. When you look at this side of the argument, you develop a fragile sense of hope that the future of the prairie is not as bleak as the numbers suggest. At one moment you’re sure there’s nothing for it, that we have done too much, dug too deep, and that the price we will pay for ‘progress’ and production is the land itself, the same land that enables these processes and has brought us such astonishing abundance. 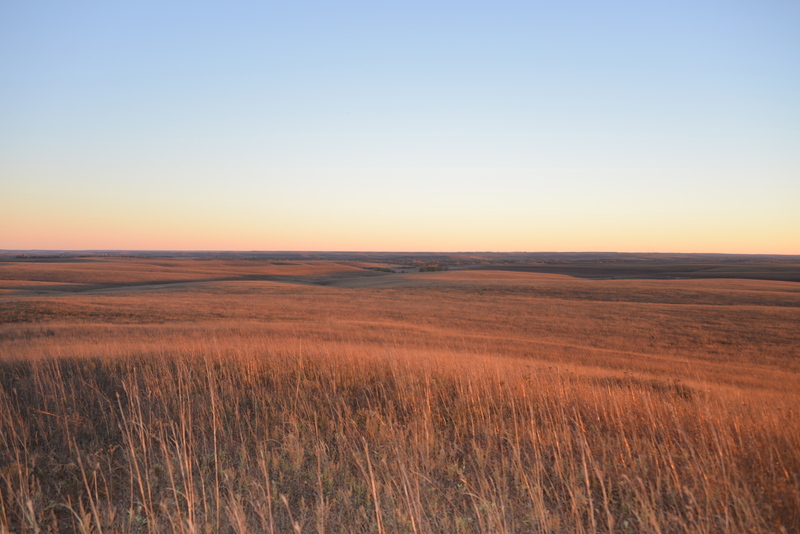 The estimates of remaining intact prairie in the U.S. range from 5 to 20%. 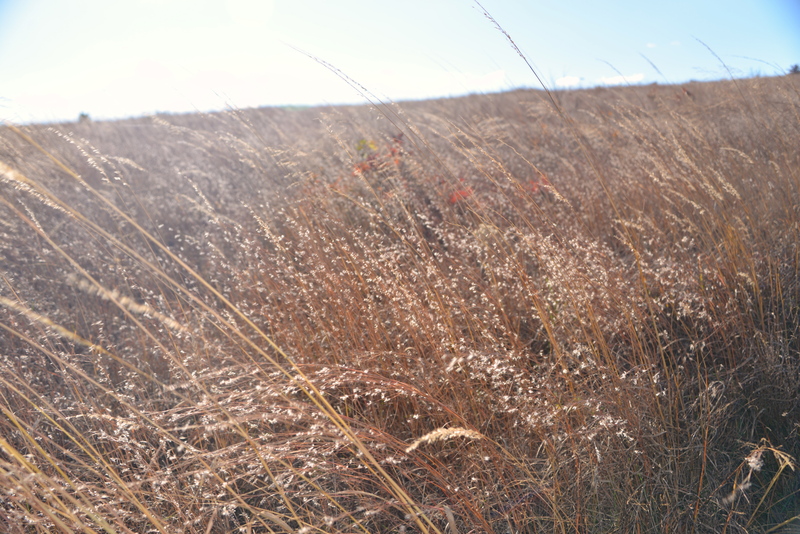 Many estimates of the remaining tallgrass prairie are fractions of 1%. You soon realize that even the remaining ‘intact’ tracts of prairie, such as the one in Oklahoma pictured above, are not intact at all, if by intact you mean whole, unbroken, or unaltered, as its definition suggests. For though these ‘intact’ remnants of prairie managed for conservation may host herds of reintroduced bison, the herds of elk that used to roam across them, with few exceptions, are gone. The Plains grizzlies and the gray wolves that hunted these herds are also gone. The black footed ferrets that used to move freely across these landscapes are headed towards the cliff of extinction. We’ve poisoned the prairie dogs that the black footed ferrets depend on, and have destroyed the vast majority of their habitat. Black-tailed prairie dogs now occupy 2% of their former range. Many of the grassland birds that used to shower the prairie in song are plunging towards collapse. The agricultural fields that border the ‘intact’ tracts of prairie render them scattered islands isolated to varying degrees from their nearest neighbors. The herbicides, pesticides, and fertilizers used often disrupt the soil microbiology and cause rampant problems with the health of our water (and those that drink from it). We are draining the Ogallala aquifer at a rate far greater than its water is able to replenish. We’ve dammed or channelized nearly every single major river that runs across the Great Plains. Fifteen dams impound the main stem of the Missouri river, with hundreds more on its tributaries. This, along with siltification, has seriously compromised fish populations and has endangered at least six fish species, including the pallid sturgeon. We’ve plowed under most of the soil and are watching it wash or blow away at a rate far faster than it can regenerate. The fraction of the tracts of prairie that remain unplowed do not support the ‘intact’ ecosystems they once did. This landscape is altered. At the exact moment you are contemplating what appears to be this full-throttle destruction of the prairie, you inevitably see a hawk cut across its expansive skies. So you make a bargain with hope and insist that these creatures are not on their way out. As Sebastian and I wound our way west along the back roads, it seemed like there was a bird of prey on every power line post we passed, waiting for its catch. We heard the cacophony of Canada geese honking and chattering as they migrated by starlight through the night. We heard the low hoot of owls cut across a chilly October night, and as the sun spilled into our tent in the early mornings, so too did the most clear and melodic birdsong, beckoning in the first light of day. We watched a flock of migrating American white pelicans, enormous birds with a 9-foot wingspan, rise in thermals, gaining loft as they made their way south, wings flashing silver then black as they spiraled upwards. We saw the opened beak of meadowlark after meadowlark as it called out its song from its post on barbed wire. We saw a pair of nesting bald eagles take turns showing off over Oklahoma Lake and eastern blue birds dart and surge and plunge from power lines to the tops of cottonwood trees and back. We watched coots and cormorants push their way through still waters, oblivious to the hum of the interstate alongside their ponds. We saw a loggerhead shrike, whose characteristic of piercing its prey on barbed wire, or if handy, on thorns, and then adorning it with bird bills and feathers to attract a mate, never ceases to amuse me. We encountered what seemed to be this abundance, this perseverance against all the odds we’ve piled against these birds: plowing under the grasses where they nest, flooding the soil and water they depend on with fertilizers and pesticides, planting corn or soy or suburbs upon nearly every last inch of their habitat, overgrazing grasses they depend upon to feed an exploding population… Seeing this push for life, this determination and insistence upon survival, the tilt and sway of wings cut across an expansive sky, birdsong flood across the slope of hills and the endless plane of horizon—it is heartening yes. It is promising, yes. It is beautiful, yes. And also, it is heartbreaking. Look at the plummeting number of birds that depend on the prairie, including many of those that we saw on our drive, and especially those that we didn’t see, and you’ll have reason to pause. 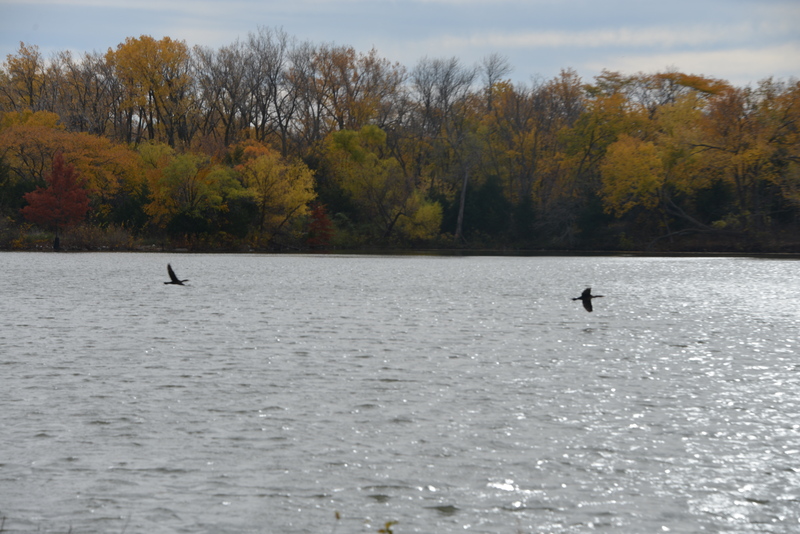 The populations of some of the birds we saw, including the pelicans, Canada geese, and red-tail hawks, have stable or even increasing populations thanks to their adaptability, and, in part, to conservation measures taken. The majority of the birds that depend on the prairie, however, have populations that have nose-dived in the last 60 years. Today, the population of around 80 percent of all grassland birds is in decline. The eastern meadowlark’s population has plunged by 71% in the last 40 years and is decreasing at a steady rate of 2% each year. Loggerhead shrikes populations have declined by 72%. The Nature Conservancy lists it as being extirpated from most of the Northeast, and nearly extirpated from Minnesota, Wisconsin, and Michigan. Eagle populations will face additional pressure following a recent Interior Department rule that will allow 5-30-year permits for wind farms to accidentally kill or injure bald and golden eagles. Many of the grassland birds that were once common in the plains were eerily absent from our bird count during the drive. We didn’t see any grasshopper sparrows. Bird surveys indicate their populations have declined by 65% and are declining at a rate of 6% per year in parts of their range. Bobolink populations are steadily declining. They spend their non-breeding season on South American grasslands east of the Andes, and are thought to have one of the longest migrations of any New World songbird, traveling some 12,500 miles annually. Thanks to drought, inappropriate water and beach management, gas/oil industry dredging operations, and development, only 8,000 adult piping plovers remain in the wild. The list of shrinking grassland bird populations goes on and on and on. Scrolling down the population estimates of grassland birds, you realize that, like the small stands of native prairie scattered throughout the fields and rangeland, we are witnessing a remnant, a relic of species whose future is as improbable as the powerful surge of song bellowing forth from such a small body. When confronted with this, hope is a tricky force to get behind. And yet, when you stand in the prairie that is left, give yourself to its color and sounds: the buzzing of its grasshoppers, the bright flash of wings, the chirps and melodies inundating the space between swaying grasses, and the splash of yellow on a meadowlark’s breast, it seems impossible not to place your hope in it. 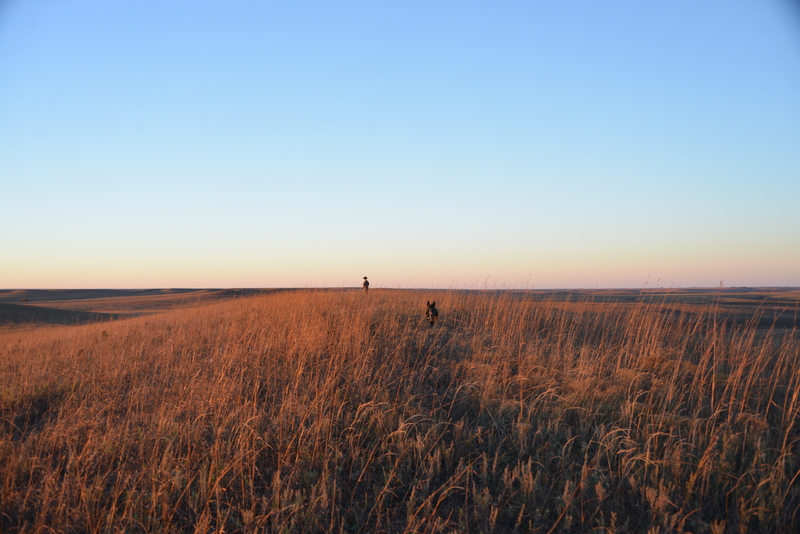 When you stand in a tract of tallgrass prairie, something happens. Your brooding and your worry sink into the soil and the roots that run deeper than the grasses are tall and you settle. Against all odds, you place your hope in it. And in so doing you place your hope in us. In our responsibility to see this landscape and home into future generations, though it will never again be ‘intact.’ As Michael Forsberg puts it, “Hope looks forward.” It is his hope, and mine, and that of countless others who cherish the prairie and its teeming life that “someday, future generations will thank us for the courage we had and the efforts we made, each in our own way, to preserve and restore these treasures for their future. 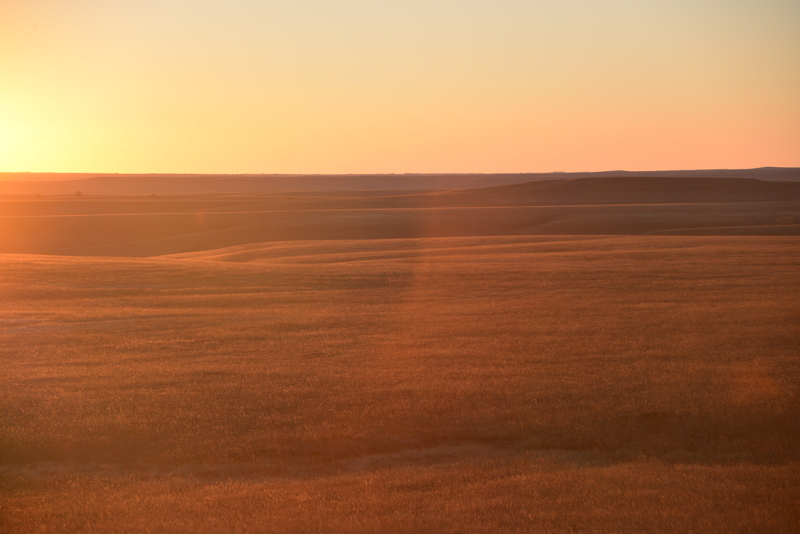 We certainly owe it to them, we owe it to the land and its wild inhabitants, and ultimately, we owe it to ourselves.” I hope that the prairie will indeed see unending grass, wind, and light. Jackson, Wes. New Roots for Agriculture. 1980. New Point Press. Berkeley, California. 75. H.H. Bennett, 1939. Soil Conservation, McGraw Hill, NY. A.F. Gustafson, 1937. Conservation of the Soil, McGraw Hill, NY. O. Olivers, 1971. Natural Resource Conservation: An ecological approach, Macmillan, NY. N. Hudson, 1971. Soil Conservation, Cornell Univ. Press. Ithaca, NY. Jackson, Wes. New Roots for Agriculture. 1980. New Point Press. Berkeley, California. 17. U.S. Gov. Energy Dept. “Energy Dept. Reports: U.S. Wind Energy Production and Manufacturing Reaches Record Highs.” www.energy.gov. 2013. 12/23/13. Wishart, David. “Settling an Unsettled Land.” The Great Plains. Forsberg, Michael. Chicago: The University of Chicago Press, 2009. 28. “Grassland Threats.” http://environment.nationalgeographic.com/environment/habitats/grassland-threats. National Geographic. 2013. 2/12/2014. Wishart, David. “Settling an Unsettled Land.” The Great Plains. Forsberg, Michael. Chicago: The University of Chicago Press, 2009. 38. Partners in Flight Science Committee 2013. Population Estimates Database, version 2013. Available at http://rmbo.org/pifpopestimates. Accessed on 12/27/13. J.R. Sauer, J.E. Hines, and J. Fallon, “The North American Breeding Bird Survey, Results and Analysis, 1966-2005.” (Laurel USGS Patuxent Wildlife Research Center, June 2, 2006.) http://www.mbr-pwrc.usgs.gov/bbs/bbs2005.html. The Nature Conservancy. 1999. Natural Heritage Central Databases. An electronic database on plants and animals. Arlington, VA. Species factsheet: Anthus spragueii. http://www.birdlife.org. BirdLife International. 2014. 2/12/2014. Savignac, Carl; Jobin, Benoit; Falardeau, Gilles. “Status of the Grasshopper Sparrow in Quebec.” http://www.ec.gc.ca. Environment Canada. 2011. 2/12/14. “Beating the Odds: A Year in the Life of a Piping Plover.” www.Audubon.org/plover. Audubon. 2/12/14. Forsberg, Michael. “The Roots of Hope.” The Great Plains. Forsberg, Michael. Chicago: The University of Chicago Press, 2009. 11.